The workload is very demanding; it gives you a real taste of what life as a barrister would be like. My route into professional study was quite an unusual one. 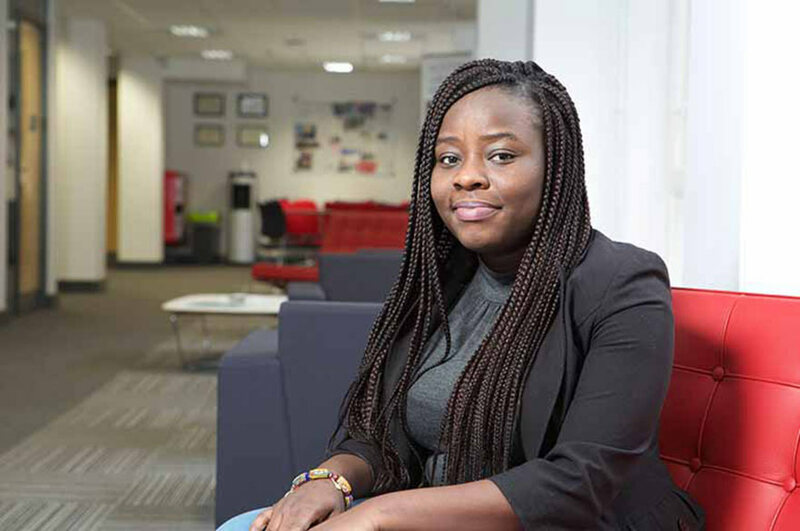 I came to the UK from Ghana to pursue an LLM in International Law and International Relations, I then moved on to study a two-year LLB degree, and consequently find myself here studying for the Bar. I find however that doing the LLM before the LLB has really worked for me as it has helped broadened my perspective on legal issues. Before starting the BPTC I had heard from various barristers that I had met while undertaking a mini-pupillage, that Nottingham Law School was one the best law schools in the country, known primarily for its excellence and critical approach to law, and that the quality of training here was commendable and of a high standard. The academics in the Law School have practised as lawyers in different areas of law, and provide you with extra practical support. Also, the Legal Advice Centre here has gained national prominence in terms of pro bono and its partnership with Freedom Representation Unit (FRU). When choosing the Bar course, accreditation and scholarship opportunities were important to me. After applying to Nottingham Law School I was awarded the Dean's Scholarship for Academic Excellence, which I am incredibly grateful for, as I would not have been able to afford to study without this financial support. I love the architecture of the Newton and Arkwright buildings, as well as the Boots Library. I just can't get over how beautiful and modern it looks. I also love the courtrooms in the Chaucer building, they are very superb and give you that extra impression of professionalism. When you're there, all of sudden you forget you are a student, and it's as if you are a real barrister in a courtroom. Anyone who knows me knows I practically live in the library. I've found the facilities really helpful: there are laptops that you can hire for free, and there are well-furnished and resourceful group study rooms which you can book for private group discussions. I have also had great assistance from the Student Service Centre when I had to extend my visa for study. They made it such a smooth process that took away all the stress and made me feel at ease. I believe studying this course and coming thus far is indeed my greatest achievement in itself. This is the most challenging thing I have ever had to do in my life. The workload is very overwhelming and demanding, gives you a real taste of what life as a barrister would be like. You really need to want to pursue the Bar in order for you to be able to apply the mental attitude and hard work it requires of you. Studying for the BPTC has widened my scope and vision in terms of what I want to do with my life and made me believe that it is achievable and tangible. It has harnessed in me great discipline, commitment, hard work and focus. My short-term goals are to get pupillage and start practice as a Criminal barrister. In the long-term, I want to work with an international organisation, like the United Nations or the International Criminal Court, where I will be able to make an international impact.